Heavy Duty Product - Alloy Construction. Travel & Tourism. Waterproof Tarpaulins. Stationary & Craft. Glues & Adhesives. Grip Seal Bags. Papers & Filters. Smoking Sundries. 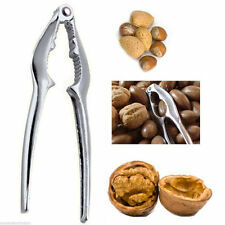 Quality Nut Cracker Walnut Plier Nut Opener Black Shell Nutcracker Remover. Easy to crack most of the nuts with a hard shell like pecans, hazelnuts, almonds, especially walnuts even when it's hot. Opens up to 180º wide angle. Faster, better and easier than any other nutcracker. 1 x Nut cracker. Multi-functional opener for nuts and unscrewing the cap. Fully adjustable to crack Pecans, almonds, walnuts, filberts and other soft shell nuts. Easy to crack most of the nuts with a hard shell like pecans, hazelnuts, almonds, especially walnuts even when it's hot. Durable made with very good quality. Made with good quality (Facklemann). Quality finishing- beatifully made product. Margaret Thatcher - novelty nut cracker - 1980s retro. Good Used Condtion,Dispatched with Royal Mail 1st Class. UK only,No Collections Thankyou. Antique/ vintage Dancing Girls Brass Nutcracker. In good condition and intact. Antique / vintage Dancing Girls Brass Nutcracker. Used. And In good condition. And Measures 13.5cms long. Please check photos thank you. Wooden mushroom nutcracker with screw. Made of high quality beech wood. MADE OF HIGH QUALITY BEECH WOOD. Material: beech wood. WOODEN WITH SCREW. Heavy Duty Product - Alloy Construction. Also good for crabs, lobsters and seafood. CARVED WOODEN NOVELTY. IN THE SHAPE OF NAKED LADY. LADY OPENS HER LEGS AND THERE IS TWO INDENTS TO HOLD NUT IN PLACE. NUT CRACKERS. CLOSE HER LEGS AND THE NUT BREAKS. Faster, better and easier than any other nutcracker. 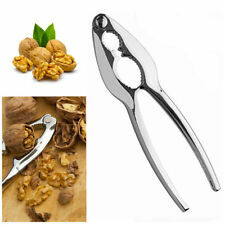 Multi-functional opener for nuts and unscrewing the cap. 1 x Nut cracker. 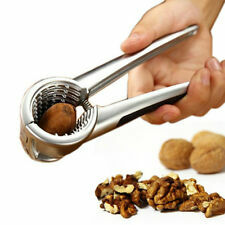 Fully adjustable to crack Pecans, almonds, walnuts, filberts and other soft shell nuts. High quality essential nut cracker. Can be widely used, mainly for hard shell nuts and even lobsters. 30PCS DIY Silicone Hair Curlers Set Kit Magic Soft Rollers Hair Care No Heat UK. 8/12x Sleep Hair Roller Sponge Curler Shark Tank Styler in Sleep Hair Styling UK. This is a good pair of mid 19th Century polished steel nut crackers with turned handles and simple engraved designs. Length when closed 5 ins (13 cms). In good working condition. William Shakespeare Commemorative Brass Nut Cracker. Condition is Used, there is wear to the guilting so please look closely at the photos. Dispatched with Royal Mail 2nd Class. THOUGH AS YOU CAN SEE IT DOES SHOW MINUTE SURFACE MARKS AND BLEMISHES ASSOCIATED WITH AGE. ALSO IT LOOKS LIKE A SMALL PIECE HAS CHIPPED OF THE END OF THE SCREW THREAD AS SHOWN IN PHOTO 11. 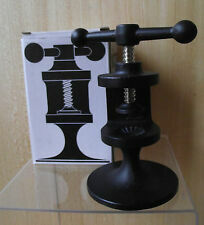 VINTAGE SHIPS WHEEL / NAUTICAL NUT CRACKER. There are two cracks in the plastic wheel, this does not affect the winding of the wheel, the wheel moves freely. 5in/12.5 cm high. This is a lovely old novelty nutcracker in good condition but could do with a polish. 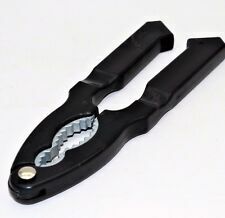 This item is designed for cracking soft shell nuts, faster, better and easier than any other nut cracker tool. It is fully adjustable and easy to operate. After cracking the walnut skin, the walnut can appear completed, avoiding unnecessary waste. Two lovely pairs of solid brass nut crackers. A Dartmouth Pixie pair of Nutcrackers made in solid brass. MADE BY 'CRACKERJACK' ENGLAND. RATCHET ACTION. VERY EASY TO USE AND THEY DO THE JOB WITHOUT HESITATION! Squirrel Nutcracker, Silver tone alloy, very nice. The tail opens and closes the jaws, very efficient. 14cm tall, used and in good condition. Vintage Antique Cast Metal heavy Dog Nutcracker Metal - some copper Verdigris so probably not just cast iron - weighs 0.7kg height 10cm length (nose to tail) 24cm. Condition is Used. works well with small walnuts but probably better with hazelnuts, almonds and brazils. Dispatched with Royal Mail 2nd Class. A fun gift for any dog and nut lover. GEORGIAN DECORATED BRASS POCKET NUTCRACKER. IN GOOD CONDITION ,AS SHOWN. Vintage kitchenalia brass nutcrackers with Punch and Judy theme 11996. Condition is Used. Dispatched with Royal Mail 2nd Class. My dad had this in his shed on a shelf. He bought this in the last couple of years..he was never in the military....6. and half inch tall cast metal... £48.with postage to UK only!....... I am a pacifist and don't agree with any warmonger living or dead! My dad had this in his shed on a shelf. He bought this in the last couple of years..he was never in the military...6 and half inch tall cast metal......£40 includes postage to UK only! I am a pacifist and I don't agree with any war mongers from any where or time. Faster, better and easier than any other nutcracker. 1 x Nut cracker. 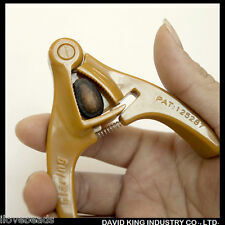 Multi-functional opener for nuts and unscrewing the cap. Material: Aluminum alloy. Fully adjustable to crack Pecans, almonds, walnuts, filberts and other soft shell nuts. Lovely vintage hand turned wooden nutcracker in the shape of a pear. Found while clearing my parents attic. The wood has a beautiful grain. There is a small chip in the wood at the front otherwise in great condition. Really lovely item. Any questions please ask. Take a look at my other items, I will combine postage. NEW Anthropologie Copper Metal Squirrel Nutcracker. Condition is New. Dispatched with eBay delivery – Shutl 2-3 days. Apollo Chromed Heavy NUT CRACKER Crack All Nuts Lobsters Crabs, 16 cm By Apollo The Apollo nutcracker has cushioned, nonslip handles, three surfaces for cracking shells, from small nuts to large lobster claws, as well as a shelling dish keeps nuts in place. Made from solid zinc for premium durability and is dishwasher-safe too. Antique Nut Crackers Cased Matching Pair of Silverplated Nutcrackers. 1860's. 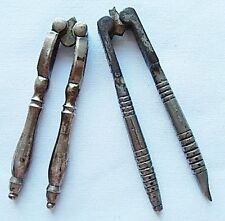 Antique circa 1850 cased set of Silverplated steel Nutcrackers. Two pairs of Victorian Nutcrackers in original purple canvas & Morocco leather case. Case measures 15cm x 12cm x 1.5cm. Very good age related condition with fantastic pateena. Fontainebleau is stamped into one handle. This is a beautiful late Victorian Black Forest souvenir nutcracker in the shape of a dog's head. 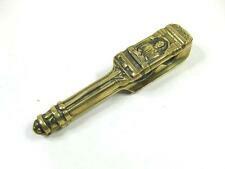 It has finely carved detailing and solid glass inset eyes. Vintage Antique Cast Iron heavy Dog Nutcracker Metal. patent no. 273480. Condition is Used. Rusty. ANTIQUE VINTAGE BRASS NUTCRACKER/JESTER . Condition is Used. Dispatched with Royal Mail 2nd Class. Vintage Heavy Cast Brass Nutcracker The Jester/Joker Made In England 7"
Heavy duty spring loaded nutcracker. Easy cracking nuts, pecan, walnuts, hazelnut, almonds and brazil nuts, etc. Simple convenient, for young and old. 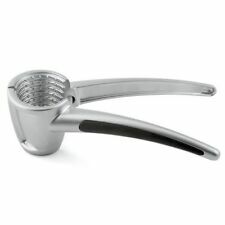 A Essential tool for kitchen and enjoy healthy nuts in a less than minutes. Listed as used but still usable. Condition as shown. VINTAGE NUT CRACKER HAND CARVED WOOD GNOME, BLACK FOREST, 11"
Nutcracker Erzgebirge Expertic Fur Hair And Beard Stamped GDR 9"
Antique Vintage 1950s Space Nut Master Nutcracker w Box!